Reflecting that illusive Hollywood glamour conjured by the likes of Sarah Jessica Parker and Marilyn Monroe, these beautiful earrings from the Bora Bora Collection will have you looking and feeling like the glitterati! Set in fourteen karat white gold filled studs are sizeable white pearls of the highest quality. Thanks to their very high luster, they sparkle and gleam, vivid and crisp under any light source. They are extremely durable, owing to their naturally very thick nacre. Their silver undertones glitter against the cool, smooth silver in which they are set. They are an ever popular choice for ultra-glamorous occasions and the finishing touch to your sexiest outfits. Effortless and comfortable to wear, when you don this set, you will feel like a screen goddess. 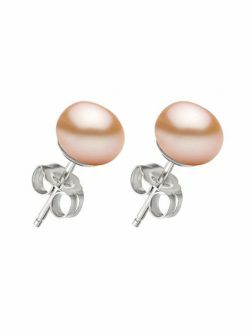 If you want to be ready for your close-up, these pearl wonders will fast become your new best friends! Reflecting that illusive Hollywood glamour conjured by the likes of Sarah Jessica Parker and Marilyn Monroe, these beautiful earrings from the Bora Bora Collection will have you looking and feeling like the glitterati! 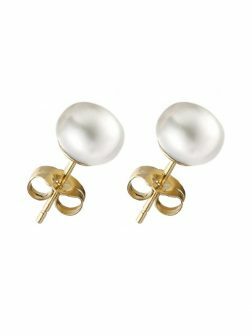 Set in fourteen karat yellow gold filled studs are sizeable white pearls of the highest quality. Thanks to their very high luster, they sparkle and gleam, vivid and crisp under any light source. They are extremely durable, owing to their naturally very thick nacre. Their deep undertones glitter against the cool, smooth gold in which they are set. They are an ever popular choice for ultra-glamorous occasions and the finishing touch to your sexiest outfits. Effortless and comfortable to wear, when you don this set, you will feel like a screen goddess. If you want to be ready for your close-up, these pearl wonders will fast become your new best friends! Reflecting that illusive Hollywood glamour conjured by the likes of Sarah Jessica Parker and Marilyn Monroe, these beautiful earrings from the Bora Bora Collection will have you looking and feeling like the glitterati! Set in fourteen karat white gold filled studs are sizeable black pearls of the highest quality. Thanks to their very high luster, they sparkle and gleam, vivid and crisp under any light source. They are extremely durable, owing to their naturally very thick nacre. Their silver undertones glitter against the cool, smooth silver in which they are set. They are an ever popular choice for ultra-glamorous occasions and the finishing touch to your sexiest outfits. Effortless and comfortable to wear, when you don this set, you will feel like a screen goddess. 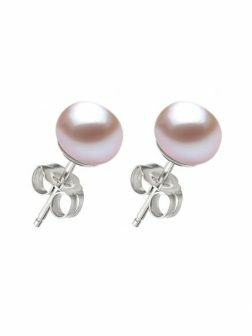 If you want to be ready for your close-up, these pearl wonders will fast become your new best friends! Reflecting that illusive Hollywood glamour conjured by the likes of Sarah Jessica Parker and Marilyn Monroe, these beautiful earrings from the Bora Bora Collection will have you looking and feeling like the glitterati! 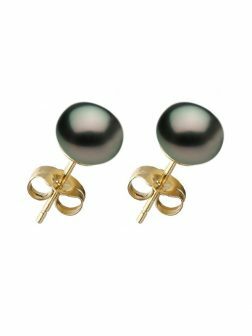 Set in fourteen karat yellow gold filled studs are sizeable black pearls of the highest quality. Thanks to their very high luster, they sparkle and gleam, vivid and crisp under any light source. They are extremely durable, owing to their naturally very thick nacres. Their deep undertones glitter against the cool, smooth gold in which they are set. They are an ever popular choice for ultra-glamorous occasions and the finishing touch to your sexiest outfits. Effortless and comfortable to wear, when you don this set, you will feel like a screen goddess. 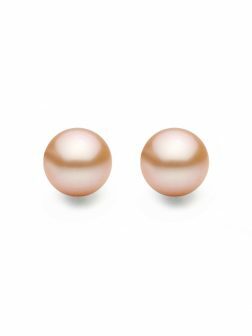 If you want to be ready for your close-up, these pearl wonders will fast become your new best friends! Reflecting that illusive Hollywood glamour conjured by the likes of Sarah Jessica Parker and Marilyn Monroe, these beautiful earrings from the Bora Bora Collection will have you looking and feeling like the glitterati! 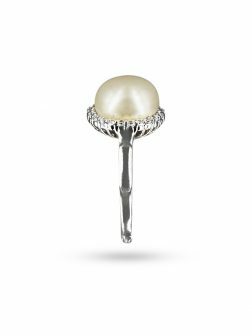 Set in fourteen karat white gold filled studs are sizeable lilac pearls of the highest quality. Thanks to their very high luster, they sparkle and gleam, vivid and crisp under any light source. They are extremely durable, owing to their naturally very thick nacres. Their silver undertones glitter against the cool, smooth silver in which they are set. They are an ever popular choice for ultra-glamorous occasions and the finishing touch to your sexiest outfits. Effortless and comfortable to wear, when you don this set, you will feel like a screen goddess. 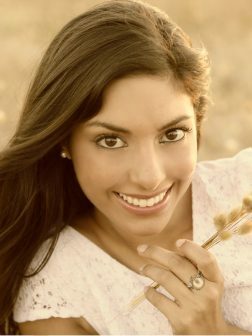 If you want to be ready for your close-up, these pearl wonders will fast become your new best friends! Reflecting that illusive Hollywood glamour conjured by the likes of Sarah Jessica Parker and Marilyn Monroe, these beautiful earrings from the Bora Bora Collection will have you looking and feeling like the glitterati! 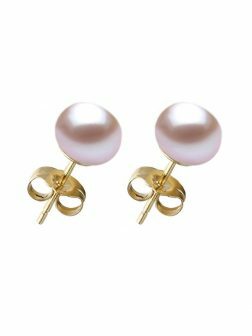 Set in fourteen karat yellow gold filled studs are sizeable lilac pearls of the highest quality. Thanks to their very high luster, they sparkle and gleam, vivid and crisp under any light source. They are extremely durable, owing to their naturally very thick nacre. Their deep undertones glitter against the cool, smooth gold in which they are set. They are an ever popular choice for ultra-glamorous occasions and the finishing touch to your sexiest outfits. Effortless and comfortable to wear, when you don this set, you will feel like a screen goddess. 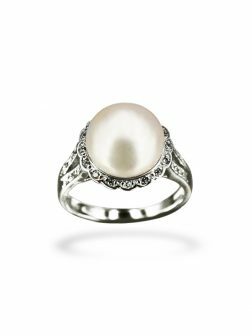 If you want to be ready for your close-up, these pearl wonders will fast become your new best friends! Reflecting that illusive Hollywood glamour conjured by the likes of Sarah Jessica Parker and Marilyn Monroe, these beautiful earrings from the Bora Bora Collection will have you looking and feeling like the glitterati! 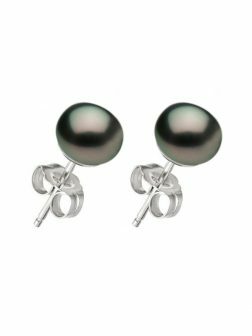 Set in fourteen karat white gold filled studs are sizeable peach pearls of the highest quality. Thanks to their very high luster, they sparkle and gleam, vivid and crisp under any light source. They are extremely durable, owing to their naturally very thick nacres. Their silver undertones glitter against the cool, smooth silver in which they are set. They are an ever popular choice for ultra-glamorous occasions and the finishing touch to your sexiest outfits. Effortless and comfortable to wear, when you don this set, you will feel like a screen goddess. 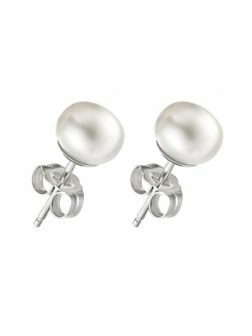 If you want to be ready for your close-up, these pearl wonders will fast become your new best friends! Reflecting that illusive Hollywood glamour conjured by the likes of Sarah Jessica Parker and Marilyn Monroe, these beautiful earrings from the Bora Bora Collection will have you looking and feeling like the glitterati! 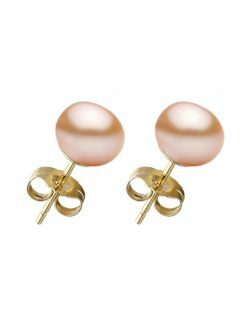 Set in fourteen karat yellow gold filled studs are sizeable peach pearls of the highest quality. Thanks to their very high luster, they sparkle and gleam, vivid and crisp under any light source. They are extremely durable, owing to their naturally very thick nacres. Their champagne undertones glitter against the cool, smooth gold in which they are set. They are an ever popular choice for ultra-glamorous occasions and the finishing touch to your sexiest outfits. Effortless and comfortable to wear, when you don this pair you will feel like a screen goddess. 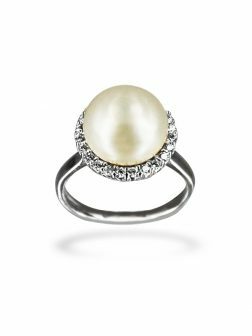 If you want to be ready for your close-up, these pearl wonders will fast become your new best friends! Reflecting that illusive Hollywood glamour conjured by the likes of Sarah Jessica Parker and Marilyn Monroe, these beautiful earrings from the Bora Bora Collection will have you looking and feeling like the glitterati! 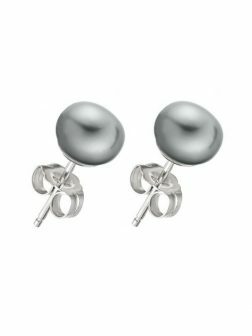 Set in fourteen karat white gold filled studs are sizeable silver-gray pearls of the highest quality. Thanks to their very high luster, they sparkle and gleam, vivid and crisp under any light source. They are extremely durable, owing to their naturally very thick nacre. Their lustrous undertones glitter against the cool, smooth silver in which they are set. They are an ever popular choice for ultra-glamorous occasions and the finishing touch to your sexiest outfits. Effortless and comfortable to wear, when you don this set, you will feel like a screen goddess. 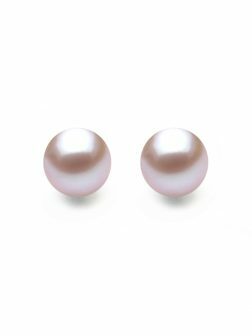 If you want to be ready for your close-up, these pearl wonders will fast become your new best friends! Reflecting that illusive Hollywood glamour conjured by the likes of Sarah Jessica Parker and Marilyn Monroe, these beautiful earrings from the Bora Bora Collection will have you looking and feeling like the glitterati! 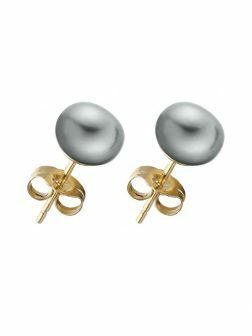 Set in fourteen karat yellow gold filled studs are sizeable silver-gray pearls of the highest quality. Thanks to their very high luster, they sparkle and gleam, vivid and crisp under any light source. They are extremely durable, owing to their naturally very thick nacre. Their deep undertones glitter against the cool, smooth gold in which they are set. They are an ever popular choice for ultra-glamorous occasions and the finishing touch to your sexiest outfits. Effortless and comfortable to wear, when you don this set, you will feel like a screen goddess. 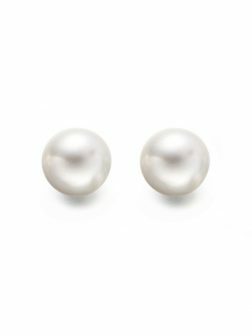 If you want to be ready for your close-up, these pearl wonders will fast become your new best friends! The essence of life in all its purity, hope, and glory is portrayed in this gorgeous piece. Pearl white set in diamonds is ideal for any time of day. 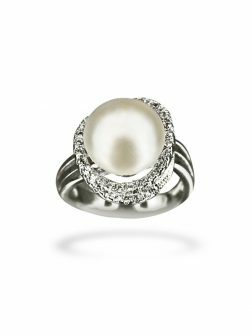 Reflective of the lady that you are, quietly confident and classy, is this glowing white pearl ring in a diadem-like setting of diamonds. Perfect for a luncheon or worn with with your business suit. Symbolizing the 16th century English dance that spread to all of Europe, and then to the United States, where it has become the iconic country dance form. 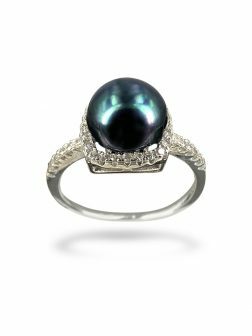 This black pearl ring with its deep green overtones, sits atop a square of glittering diamonds and is adjustable to fit any ring size. The twirling skirts, flowing this way and that, the proud, tantalizingly beautiful dancer unleashes the power of her craft on her audience. 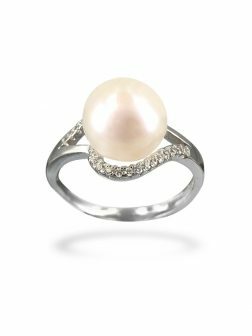 This lovely ring is perfect for an evening out with that special someone. A gleaming white pearl encircled by glittering diamonds echoes the sense of victory that is portrayed by a laurel wreath. Celebrate your achievements on life's journey, toast every milestone! 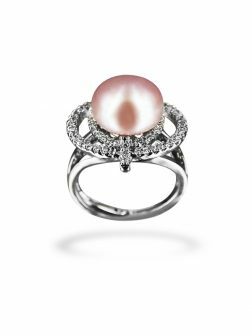 Capturing the blushing hues of sunset shimmering on the Venetian waters is this frosted pink pearl ring, intricately encrusted with diamonds. Perfect for an evening out with that special someone.